Saturday, May 19, 2018, 9:00 – 11:00 a.m.
A workshop for yourself, your loved ones, and caring professionals. RSVP Required. As we grow older and begin to face the realities of aging, many of us begin to wonder how we can maintain control, protect our income, be sure we get the care we need, and keep our dignity. Heritage Church has invited Elder Law attorney Dennison Keller to present an informative workshop on Saturday, May 19 at 9 a.m., at Heritage Universalist Unitarian Church, 2710 Newtown Road, Cincinnati, Ohio 45244. We are inviting our church members, friends and neighbors, as well as caring professionals, to join us for this important two-hour program. In fact, this information is so important we are providing continuing education units (1.0 CEU) for Social Workers, Counselors, Marriage and Family Therapists, and Nurses. The workshop is free. Please call Rebecca Pace at 513-233-9900. Register by May 17, so we are sure to have enough materials. Whether you are seeking answers for yourself, or for your loved ones, you will leave this workshop with a better understanding of wills, trusts, powers of attorney, VA benefits, Medicaid and more. Workshop Topics Include . . .
Dennison Keller is the Owner and Managing Member of The Law Practice of Dennison Keller, LLC with offices in Ohio and Kentucky. He is the Immediate Past President of the Ohio Forum of Estate Planning Attorneys, and the President Elect the Life Care Planning Law Firms Association. Dennison is a frequent lecturer locally and nationally on the topics of Elder Law, Life Care Planning, Medicaid and Estate Planning. 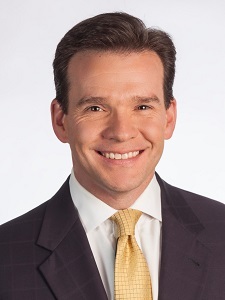 If he looks familiar to you, it could be that you recognize him from WKRC-TV Local 12 where he worked eight years as a television news journalist and sports anchor.